Halloween Fast Approaching in Temecula! Jack-O-Lanterns cause a fire hazard to trick-or-treaters, long costumes that brush against candles may lead to disaster, so make sure your child is in a flame-resistant costume. That isn’t the only way children can be injured due to heat or flame, some masks or flashlights produce a potential for burns. If your child will be wearing a mask, pay attention to the way the mask fits, your child should be able to breathe and see correctly. Costumes that are too long cause a trip hazard, ensure that the length of the costume is short enough to allow for full range of motion. In addition, costumes that are too tight can not only be uncomfortable, but they can cut off the circulation in fingers or toes. If your children will be trick-or-treating at night, you may want to add reflective tape, or flashlights to the costume. This ensures that any drivers will be able to see your child clearly. Knowing what the weather entails will help you better protect your child from danger. If it’s going to be cold or windy, try to find a costume that doesn’t leave very much exposed skin. In Temecula, the weather may be warm during the day, but temperatures do drop at night. Make sure you child has a sweater or some kind of outerware to avoid becoming ill.
Halloween should be a safe and fun night for you and your children. Ensuring that costumes are safe not only gives you peace of mind, but helps your child safely enjoy the fun of trick-or-treating. 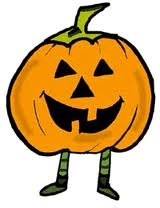 All of us here at Sycamore Terrace Apartments hope you have a safe and fun Halloween!